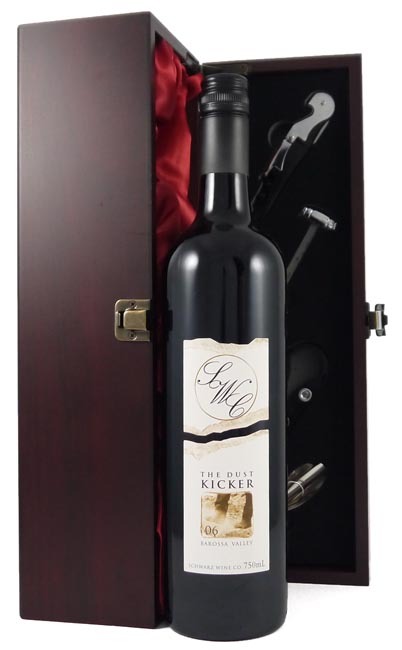 From the very good 2006 vintage and scoring 91/100 Parker points "The 2006 Dust Kicker is a blend of Cabernet Sauvignon, Shiraz, Grenache, and Mourvedre that spent 18 months in seasoned French oak before bottling without filtration (as are all the Schwarz wines). Purple-colored, it offers up a complex nose of cedar, spice box, tobacco, earth notes, black cherry, and blueberry. Layered on the palate, this easy-drinking, pleasure-bent wine has gobs of flavor, a plush palate feel, and a fruit-filled finish." Drink now - 2025. Our wine buyers have sourced the world to bring you outstanding wines under £80 a bottle rated 90 points or above by Robert Parker, one of the most distinguished wine critics in the World, he scores all the wines he tastes out of 100 points.